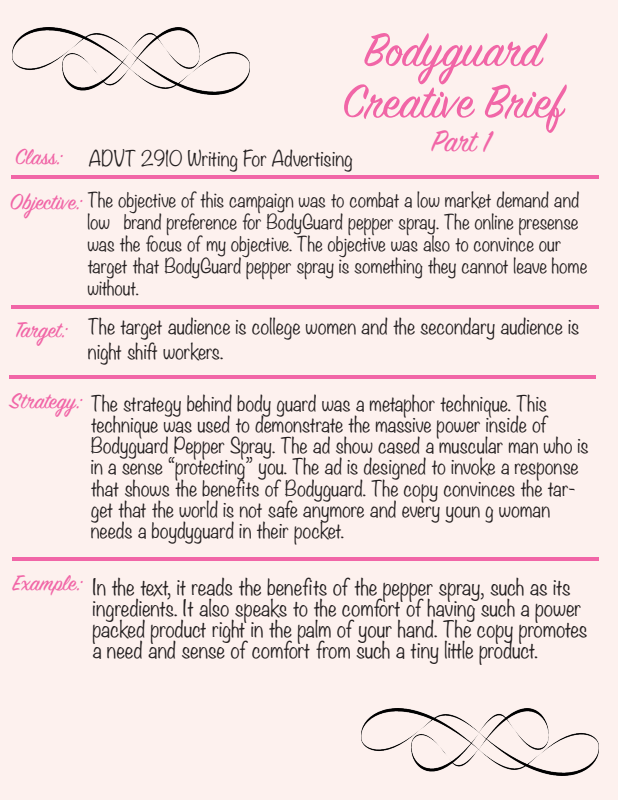 This assignment was given with the goal to educate a target audience about BodyGuard Pepper Spray and create a desire in this product category for the product to be a necessity. I chose to target college aged millennial women due to the fact walking to your car after night class can be terrifying. 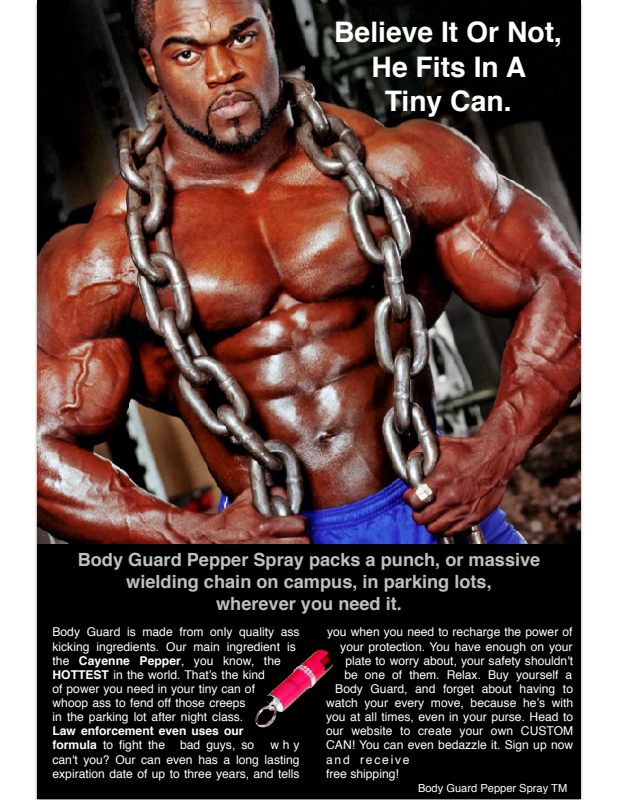 The print ad used the metaphor technique of copy writing to demonstrate the powerful punch that Body Guard Pepper Spray packs in its can. 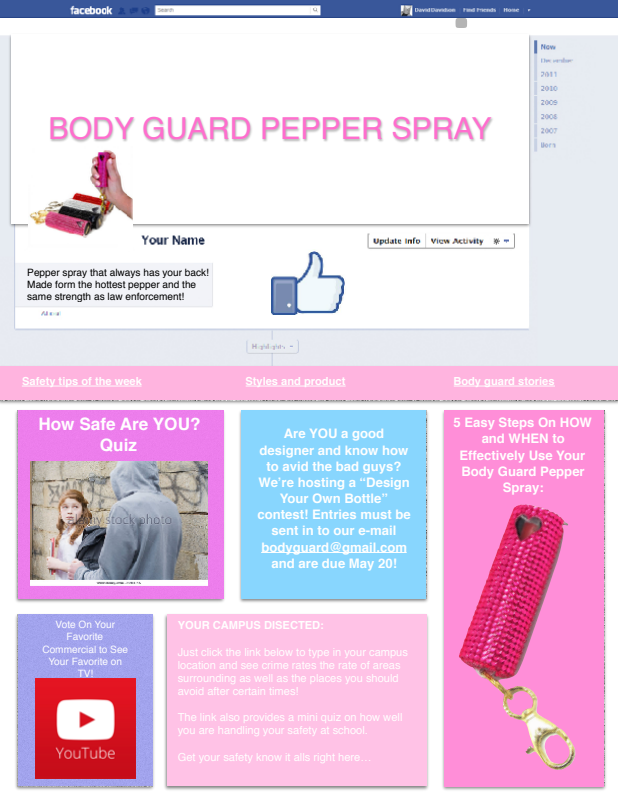 The second part of the ad was to develop a social media page to interact and educate the consumer about BodyGuar Pepper Spray. 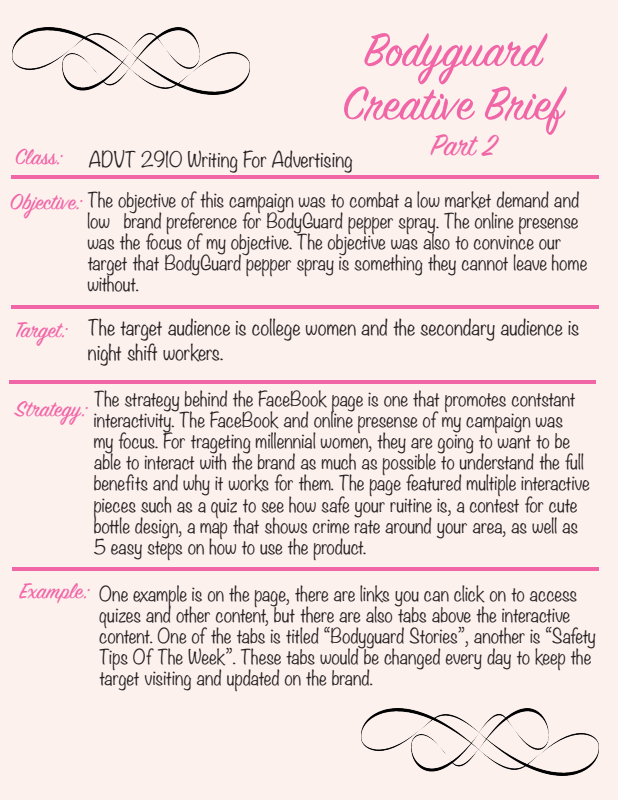 The social media page has multiple quizzes, maps of crime areas, contests and much more to involve the target in our brand.